My night table has become extremely crowded. I keep an eReader, a water bottle, an MP3 player, a case for my glasses, and several other necessities next to the bed, all of which have cluttered my night table to the point where I can’t fit anything else on it. That’s where the Bedpack comes in. This handy little pack hangs off the side of the bed giving you more storage for notebooks, medicine, or anything else you might need to keep next to the bed. 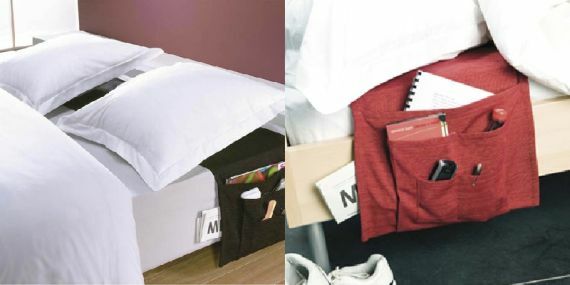 Between the Bedpack and your night table, you should finally be able to keep everything you need next to the bed.